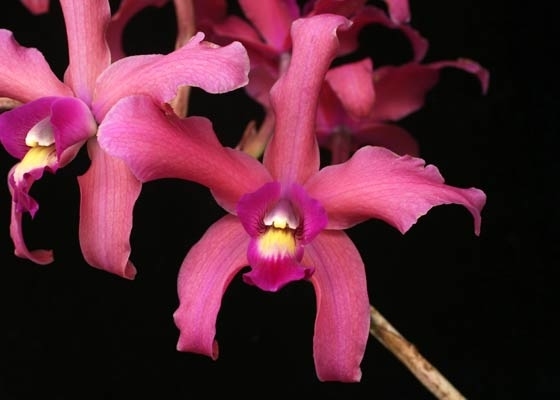 A select variety from this primary hybrid between Laelia splendida and Laelia anceps. Clusters of attractive rosy sepals and petals, accented by a colorful lip of bright fuschia, yellow, and cream. This Splendid Spire is distinctive for the tall spikes, displaying its flowers high above the foliage.Temperature Tolerant. November - December blooming.